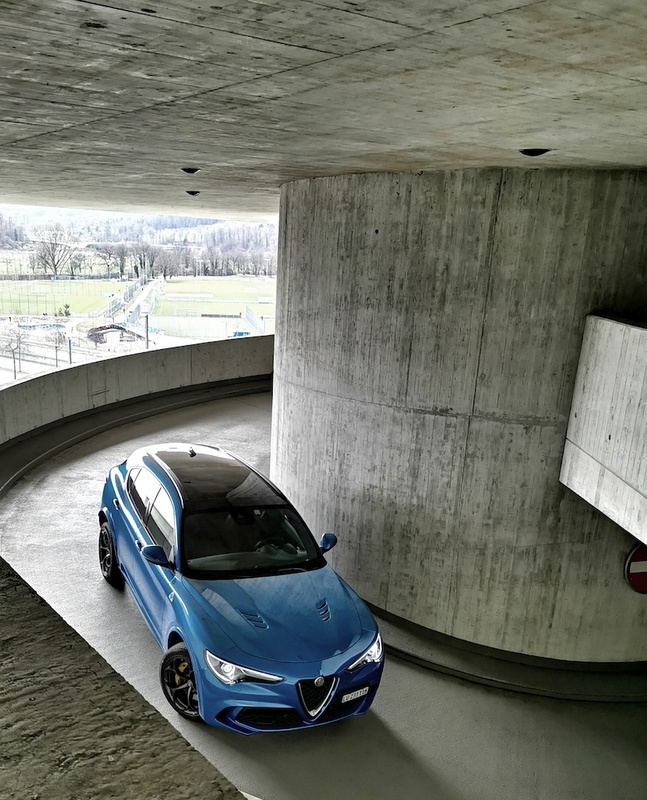 The news spread at lightning speed, with a lap time of 7.51,7 minutes the Alfa Romeo Stelvio Quadrifoglio is the fastest series SUV on the Nürburgring. With the Giulia Quadrifoglio, the Italian car manufacturer has already proven that they’re back in the game. Not surprisingly and according to the high demand this very crisp and fast SUV follows. We will talk about the performance, but my first question was: which target group should be addressed here? The Alfa Romeo Stelvio Quadrifoglio looks like an SUV but literally drives like a sports car. It somehow doesn’t give the impression that Alfa Romeo wants to poach the customers of Audi, BMW, Land Rover, Volvo etc. with the Stelvio. There is a very simple reason for this: it appeals to its very own target group. 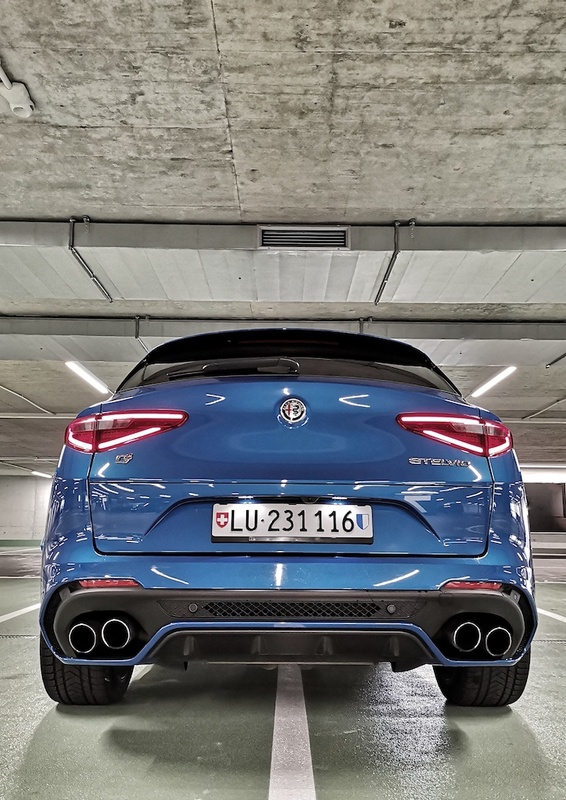 If you’ve driven one or two SUVs before, you’ll quickly notice that the Alfa Rome’s SUV is extremely direct, tough and is already set relatively tense in neutral mode. 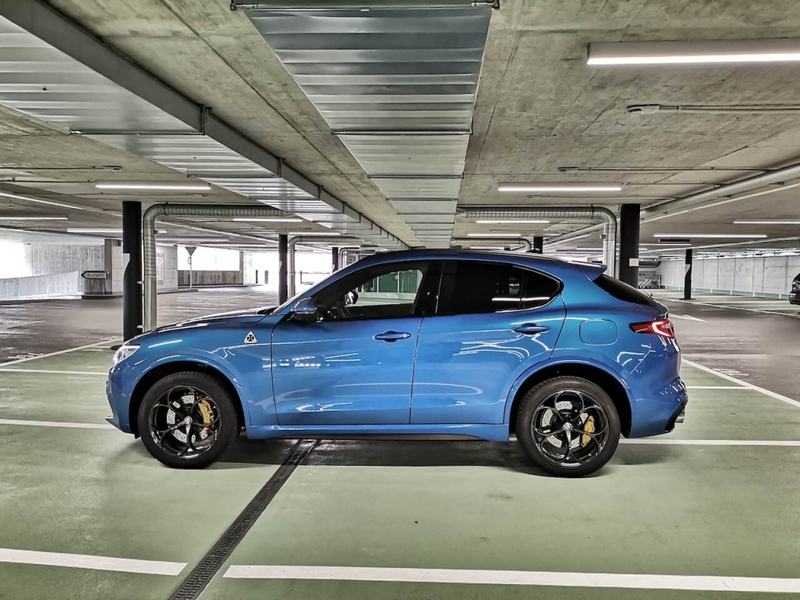 The Alfa Romeo Stelvio Quadrifoglio also conveys a sports car feeling rather than that of a family car when entering, such low chassis clearance is something you won’t find in common SUVs. The same V6 biturbo from the Giulia QV was used, which was developed with Ferrari. It delivers 510 hp and 600 Nm torque and completes 0-100 in 3.8 seconds! With a lot of anticipation you press the red button on the steering wheel, which sets the purring V6 in motion. As far as the driving dynamics are concerned, a lot of work has been done: Sensors regulate steering angle, longitudinal and lateral acceleration and vehicle movement. The power is delivered to the rear axle with preference, which provides additional driving pleasure. But before you drift out of the next corner, the transfer case pushes the power forward again. This ensures a lot of driving fun on mountain passes or on the race track. 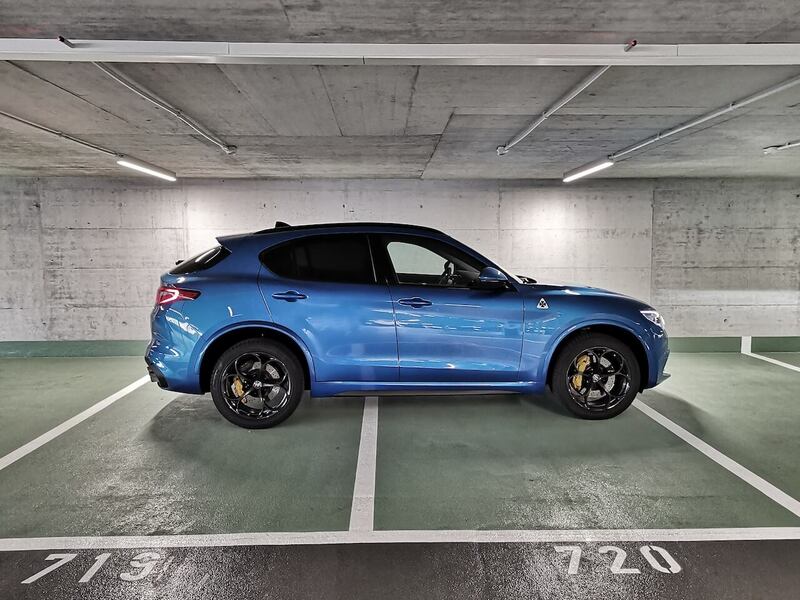 The fact that the Alfa Romeo Stelvio Quadrifoglio, with a mass of 4.7 metres long, 2.16 metres wide and weighing 1.8 tonnes, delivers such a dynamic performance is outstanding in every respect. As with the sedan, the design is certainly one of the highlights of the Alfa Romeo Stelvio Quadrifoglio. 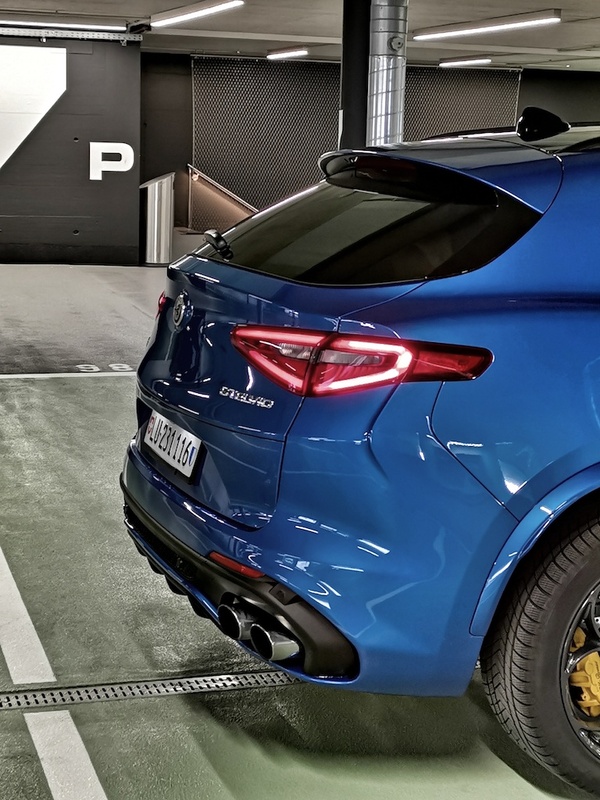 Especially from passers-by and our community it the Stelvio received full points in terms of design: V-shaped radiator grille, 20-inch wheels, 4 thick tailpipes, aggressive bumpers and air intakes on the hood are the most striking features. So, if you are looking for a good grade of understatement, you’re might want to check out other options. To put it simply: if Alfa Romeo has a cloverleaf on it, there’s a lot of racing in it. The story goes back to the 1920s, when Ugo Sivocci painted his Alfa Romeo with a four-leaf cloverleaf on a white rhombus before the race. It looks as if Alfa Romeo has practically taken over the interior of the Giulia Quadrifoglio 1:1: Leather, Alcantara and carbon characterise the interior. The dashboard, centre console and steering wheel have also been fitted with carbon. 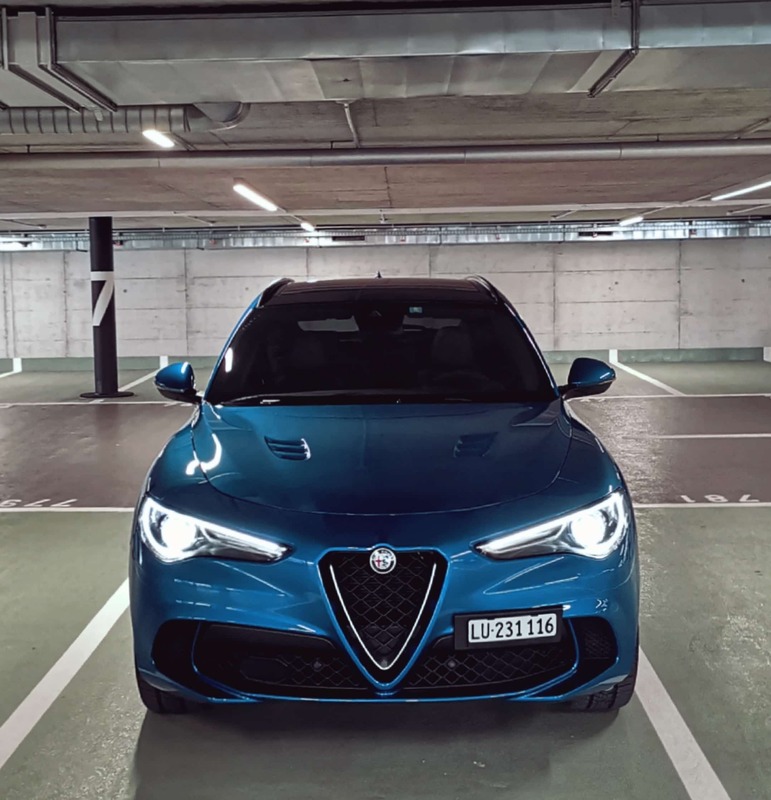 In addition, there is an 8.8 inch display, a functioning Alfa Navi Connect and if desired, amenities such as electric glass sliding roof, Sparco carbon fiber seats or a Harman Kardon sound system can be installed for an extra charge. Similar to the Giulia, there are some wind noises on the driver’s side. The display on which side the tank is located is upside down (compared to other brands).